This session will review testate and intestate succession and the impact on real property transfer; the elements of a valid will; tax issues and estates; and alternative forms of estate planning including Transfer on Death Deeds and Trusts (living and testamentary). Specifically, we will highlight the changes from old §64.1 to new §64.2. Royston Jester, Esq. has been a practicing attorney in Virginia since 1975. 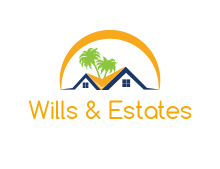 As the senior member of a real estate practice, his responsibilities include researching public real estate records; preparing all instruments for real estate transactions; reviewing closing documents; and conducting real estate closings.Mr. Jester has extensive trial practice in most areas of the law, including criminal, civil and domestic matters.He has appeared in trial courts at every level in the Commonwealth of Virginia, both federal and state.His appellate practice involves extensive legal research and preparation of briefs, with appearances before both the Court of Appeals of Virginia as well as the Virginia Supreme Court. He has devised a word processing law practice system for use in law firms. No duplicate credit can be awarded for the live course.